At this time of the year the weather is, to say the least, a bit unpredictable. Quite often it will blow up overnight so that we have to change venues for a morning fishing trip. Another solution may be to take along some bait in order to be prepared for bottom fishing should the sea be rough and coloured. The other day I went with Ben to do a spot of dawn plugging only to find that the wind had shifted to the south making things a bit uncomfortable. We had just taken the spinning gear so a change of tactics was out of the question and we decided to 'give it half-an-hour anyway'. 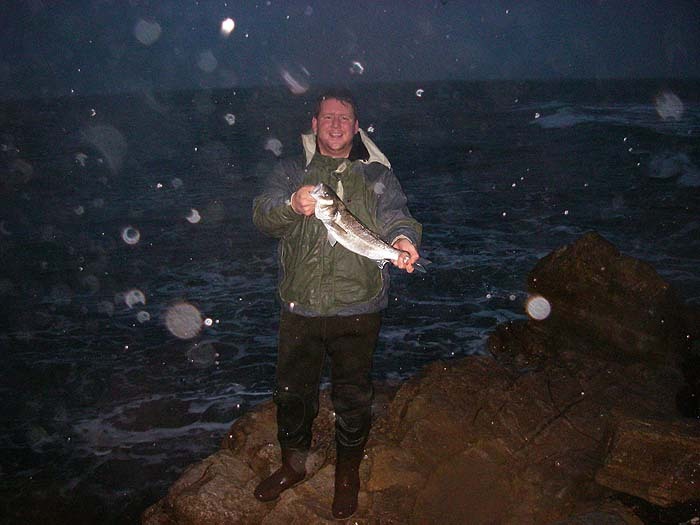 It was tricky belting our lures out against the wind and with the waves pounding against the rocks discretion dictated that we stood well back from the edge of the sea while fishing. I stuck to the popper that I have been using for the last couple of weeks (without a bite of any sort as yet). Ben fished with one of his favourite shallow-diving plugs. To cut a long story short our only bite came to Ben's lure. 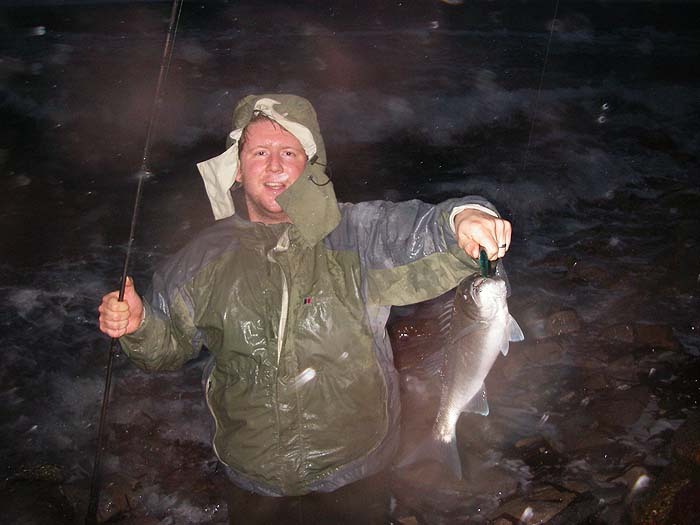 He shouted 'fish' and even in the poor light I could see that his rod was well bent. 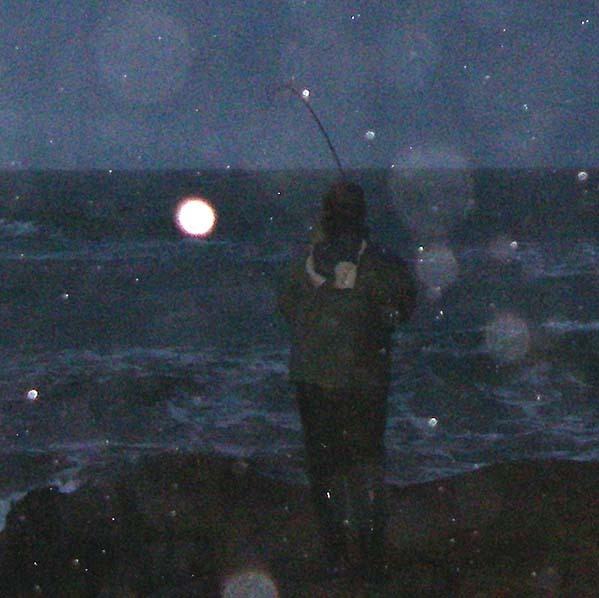 The bass was no monster but in the crashing waves and strong undertow it fought like stink. Eventually Ben jumped down into the breaking waves and picked up his catch as I clicked away with the camera (thank heavens this one's waterproof). After a bit of a tussle the bass was unhooked and returned. We had no more bites but it was a satisfying result in difficult conditions.